Completed in 1914, Casa Loma is a Museum style castle surrounded by five acres of lush gardens in midtown Toronto. 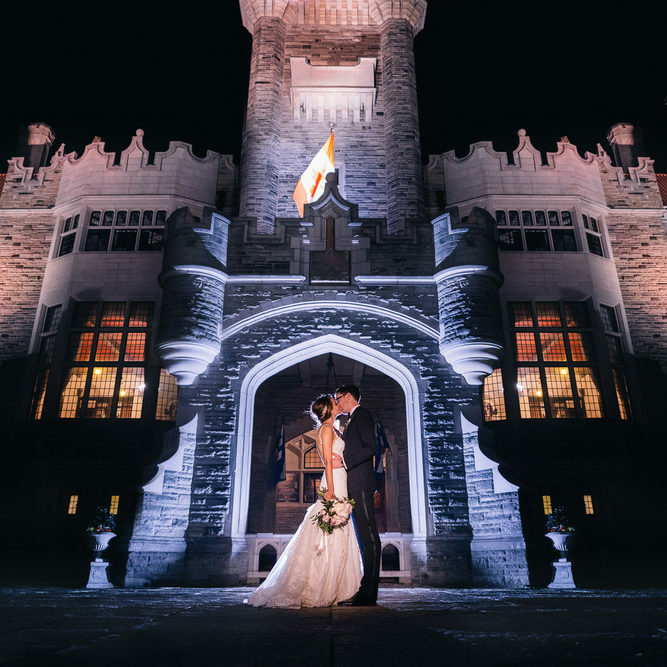 This historical landmark is one of North America’s only castles and offers a one-of-a-kind backdrop for any event. The elegance of the interior begins in the Great Hall with its impressive 60ft ceiling. The original Library offers a unique reception experience as guests dine, amidst a piece of Toronto’s history. The stained glass dome of the Conservatory and brilliant natural light, offers a dazzling setting for day time ceremonies transforming into an elegant dance room by night. The wedding was amazing and everyone was impressed with everything especially with the fact that every single plate of food came out hot (like really hot). Terry and I both really enjoyed ourselves and he was blow away by how much work was put into the whole thing and just how big and beautiful everything was. He had no clue what I had been doing all this time and why I was so stressed out. But he thought it was absolutely amazing. You were extremely helpful in every way and between you and Tamara I truly had nothing to worry about that day. The remainder of the staff was fantastic as well. Truly amazing and spectacular, it was everything I envisioned. Thank you for all your help and hard work!! I just wanted to say THANK YOU for everything you did for my couple! You and your team was amazing, Sherry did a great job and the rest of team members too! The evening went smooth and enjoyable! Carla and Robert were very happy about everything, they left for their honeymoon for 3 weeks, but I am sure once they are back they will write you an email too. Once again, it was a pleasure working with you, I wish all venues would be such a pleasure to work with! 🙂 I am really looking forward to working with you soon again, I keep referring you to all my clients who are still looking for the ceremony location or the venue and hope we get to work together very soon again!! Completed in 1914, Casa Loma is a Museum style castle surrounded by five acres of lush gardens in midtown Toronto. This historical landmark is one of North America's only castles and offers a one-of-a-kind backdrop for any event. The elegance of the interior begins in the Great Hall with its impressive 60ft ceiling. The original Library offers a unique reception experience as guests dine, amidst a piece of Toronto’s history. The stained glass dome of the Conservatory and brilliant natural light, offers a dazzling setting for day time ceremonies transforming into an elegant dance room by night. Complementing the magnificence of the interior, the outdoor terrace, perched high above the city, offers a stunning view of downtown Toronto, ideal for the perfect photo backdrop. The estate grounds feature lavish fountains, have unique sculptures, and offers a dazzling display of rare florals. 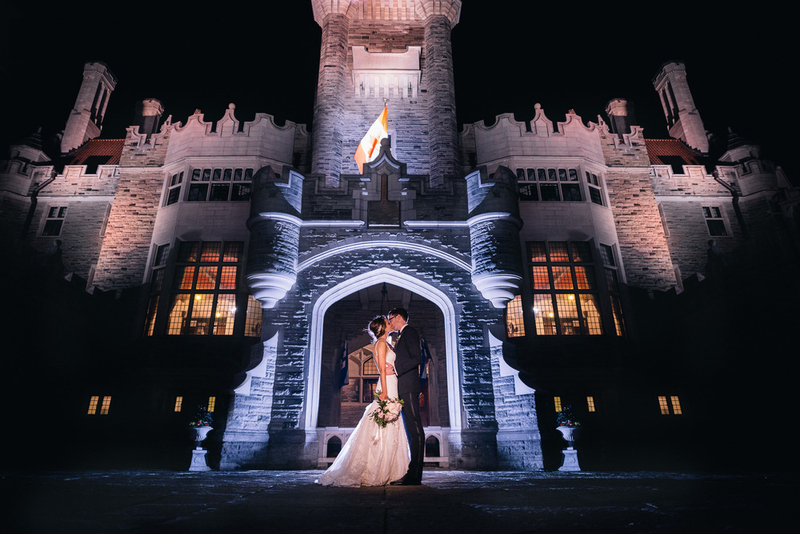 The entire estate property of Casa Loma provides a spectacular setting for a ceremony, reception and photography without ever having to leave the comfort and serenity of this oasis in the heart of the city.